By Manfred Pohl and Nick Tolhurst (eds). Wiley 2010. There is a important debate to be had about the role of Business in general, and corporations in particular, in the transformation to a more sustainable society. There are many who believe that the phrase 'corporate social responsibility (CSR)' is an oxymoron, and that it is folly to hope that the very institutions which have created the mess that we are in can be trusted to lead us out of it. 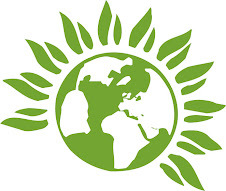 But there are others, sincere environmentalists all, who genuinely think that the power, energy and ingenuity of corporations, and the mechanisms of the market and the profit motive, can be harnessed for good. Sadly, those interested in this debate will find not much of relevance in this collection of essays. As the introductory chapter says, “...it unashamedly steers clear of most of the theories and academic debates surrounding the subject.” Rather, it is aimed at those who “...are looking to pursue a career in a CSR-related field” and “deals with the nuts and bolts of how to run a CSR strategy successfully”. The book is a publication of the Germany-based Institute for Corporate Cultural Affairs. The point of the Institute, and the book, is partly to fly the flag for the German model of stakeholder capitalism, and there's a reasonable chapter on how that works that would be useful to those who don't know anything about it. Other chapters cover things like how to run a company volunteering programme, or the benefits of sports sponsorship. There are lots of checklists, and guidance on reporting and auditing supply chains. 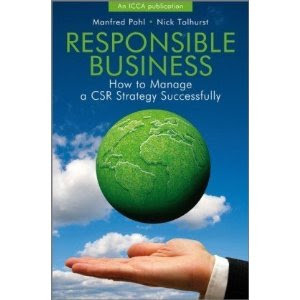 There is a more reflective chapter on the evolution of CSR which gets close to asking what it is actually for. Ultimately, though, this is a book for those who do believe that corporations, with a little prodding from the right kind of CSR professional, can be and do good. There's not much reflection on what it means for a corporation to be 'responsible'; RBS gets several positive mentions because it lends money to some renewable energy projects. The word 'tax' appears only once, in the context of a suggestion that filing online might save carbon emissions – the suggestion that responsible businesses don't try to avoid taxes has no place here.